With access to the decision-makers from the most influential brands, retailers and marketplaces in Indonesia, this is your opportunity to meet a wide pool of prospects and customers at the same time and place. 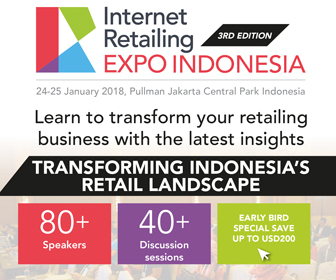 Take a sneak peek of the confirmed speakers who will be presenting at InternetRetailing Expo Indonesia 2018 (24 -25 January 2018, Jakarta). Network with 2000+ key retail and e-commerce stakeholders who are actively looking for solutions like yours. If you have the solutions or initiatives that can help businesses bring more profits and streamline company operations, exhibit at InternetRetailing Expo 2018 to meet these stakeholders face-to-face and build your brand awareness. If this audience is who you’re looking for, contact us today to explore exhibition opportunities. We are honoured to be working with APTIKNAS, one of our supporting associations. As part of our partnership with APTIKNAS, we are offering an exclusive discounted rate of 25% off delegate passes to APTIKNAS members.